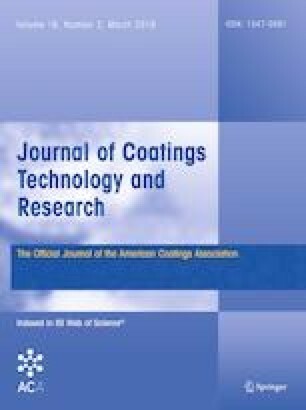 The capability to correlate exactly the process of outdoor natural weathering for the coating systems on wood surfaces via their artificial weathering in laboratory conditions would significantly reduce the testing times. In this work, a weathering of 16 different coating systems applied on two wood species (Norway spruce and black locust) having two different degrees of roughness (smooth, rough) was performed with the aim to compare direction and intensity of their color changes in natural exterior exposure without ground contact lasting from 6 to 36 months and in Xenotest lasting from 1 to 12 weeks, respectively. Correlation relationships between the natural and accelerated weathering of painted woods have been evaluated based on linear regressions for changing of the CIE-L*a*b* color parameters ΔL* and ΔE* and by non-linear Spearman rank correlation of ΔE* values. The results exhibit better possibilities for correlating the color changes for wood painted with pigmented coatings compared to transparent ones. The precision of the employed correlations has also been affected by the underlying wood species and its roughness before application of the coating. This means that, in the modeling of painted wood weathering, it is necessary to take into account a number of other factors in addition to the specific climatic conditions of exposure. The authors are very grateful for the financial support of the University Internal Grant Agency of the Czech University of Life Sciences, Prague, Project CIGA No. 20174304, and of the Slovak Research and Development Agency in Bratislava under the Contract Nos. APVV-0200-12 and VEGA 1/0729/18. Q-LAB, “Correlation of laboratory to natural weathering.” Technical Bulletin LU-0824. www.q-lab.com: 12 p. (1977).